As the seasons change, so do the garden tasks for Uncle Dean, Granny, and Uncle Joe. 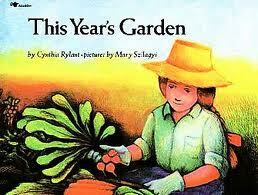 Winter is a time for planning next year’s garden, spring is for planting, and summer and fall are for harvesting. Reflecting on a full year of maintaining a family garden, this story emphasizes the enthusiasm the family has during the winter for starting next year’s garden.